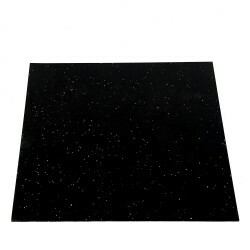 The Taurus floor mat set is the ideal protection for your floor. As these extra thick mats can be layed in a customised way, even large areas can be covered without any problems. Total size of the mat set: 123 cm x 123 cm! Being 1,5 cm thick, the Taurus black rubber floor mat is particularly suitable for the putting down or accidental dropping of higher weights. The mat's properties help stop the weight quickly and reduce the generation of noise significantly. The WaterRower mat provides optimum protection when exercising with a rowing machine. The base for fitness equipment protects the floor from scratches, sweat, and pressure points. 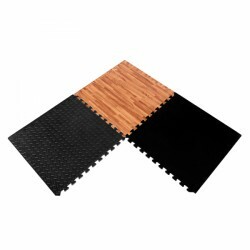 The high-quality Flexi-Tile floor protective mat is made of PVC and is very loadable and stable. 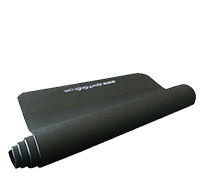 It absorbs training sounds and is perfect for use at home or at gym. 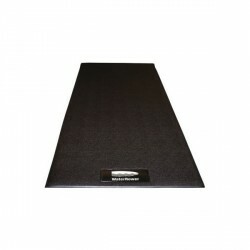 Floor protective mat of gym quality ! 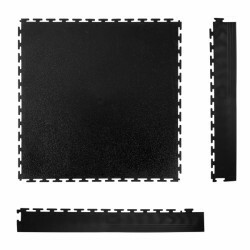 The floor mat in black is the optimal completion for your Concept2 rowing machine. Using this mat with Horizon Adventure 7 treadmill, good quality, enough thickness, no smell at all. Highly recommenced! Useful to help stop the machine sliding and to reduce any noise through the floor, especially if you are in a flat. Still slides slightly but nothing drastic. The XL mat is an ideal size to put under my exercise bike. It is of nice quality, very thick and non slip. It gives extra stability to the bike, stops it from moving while in use and protects my hard tiled floor from damage. Very pleased I decided to buy it. Well, it is a map, and it does its job well. It seems to be durable (used it now for two weeks only), does not smell, and looks rather decent as well. As some others I also discovered the plastic smell when opening the package. However a couple of hours outdoor made the trick. The mat in itself is sturdy and gives a solid protection of the floor and damps the sound just as it should. Macht was sie soll und sieht ordentlich aus. Habe früher 2 Unterlegmatten für Waschmaschinen benutzt, das sah nie so sauber aus wie die leicht glänzende Tiedje-Matte. Отличный коврик. Подложили под беговую дорожку. Резиной не пахнет. 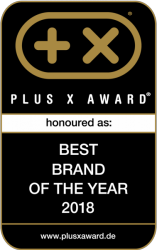 Very good, thick and robust, absorbs taps and vibrations efficiently. It looks like it will last forever. Solid mat that does what it is supposed to do. Special floor mats for sport equipment, protect the floor and absorb noises.